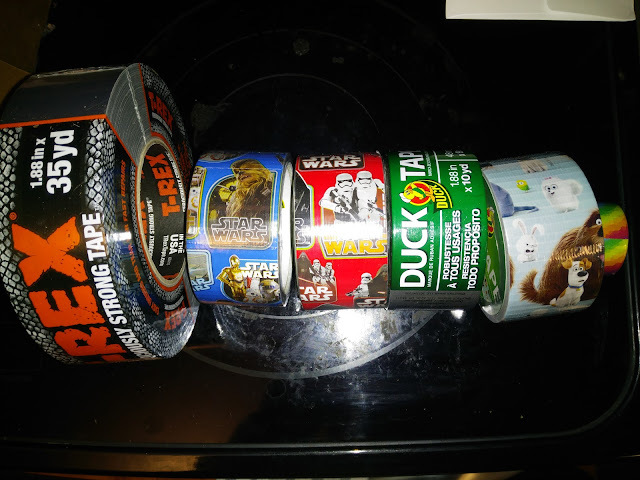 If you got a fix-it man or a do-it-yourselfer on your gift list this year, I have the perfect stocking stuffer ideas: Duck Tape and T-Rex Tape! For less than $10/roll, find the perfect gift for just about anyone – Mom, Dad, the Traveler, Style Aficionado, Techie, and Foodie – with Duck Tape! It’s a great way for them to personalize their favorite items… and it’s the perfect size stocking stuffer. Duck Tape also comes in more than 250 colors, designs and licenses for every tough-to-buy-for person on your readers’ lists. There’s even a Crispy Bacon print! Additionally, Duck Tape® is not known as “Father’s Fix-All” for nothing. No one should be without several roles of Duck Tape® (ranging from Original to Max Strength) in their tool box for repairs and quick fixes around the house, garden or garage. And for more extreme jobs, T-REX® Tape is great to have on-hand. It’s formulated with super-durable, extra-thick, sun-resistant materials to work longer and hold stronger than other utility tapes, in all kinds of weather…all of which are great to gifts for adventure seekers and fixer-uppers! T-Rex Tape is a ferociously-strong, all-weather tape that’s designed to have two times the bite, three times the staying power and four times the holding power of standard tapes. At 17 mils thick (double the thickness of ordinary tapes) this tape is extremely strong, with a thick, aggressive adhesive that can stick to rough, dirtier surfaces. A UV-resistant layer is built into the tough skin of the tape. This layer blocks the sun’s harsh UV rays from breaking through the outer skin of the tape and weakening the adhesive, giving T-Rex Tape the staying power to last through all types of weather. T-Rex Tape is for projects that need intense holding power. It’s ideal for taping up tarps and rough fabrics, bundling large or heavy materials and making long lasting repairs that ordinary tapes just can’t handle. This tape is made for home-owning DIYers and pro-contractors, making it perfect for any project, big or small.